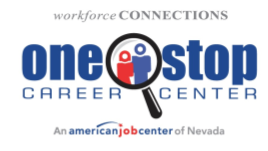 Southern Nevada nonprofits, agencies and organizations that specialize in employment and training services are encouraged to vie for a share of approximately $18 million of Workforce Innovation and Opportunity Act (WIOA) Title I Adult, Dislocated and Youth funding that will be awarded through Workforce Connections, Southern Nevada’s Local Workforce Development Board, for the July 1, 2019 to June 30, 2020 program year. Requests for Proposals (RFPs) will be released on Thursday, November 8, 2018 via the Work-force Connections website: www.nvworkforceconnections.org. The $18 million in federal WIOA funding seeks to address critical employment and training needs of businesses and employers in Southern Nevada, while accessing multiple labor pools. These labor pools include those who are unemployed, underemployed, need training or education, youth, veterans, people with disabilities and those who will be re-entering the workforce after incarceration or long periods of unemployment. Organizations interested in learning more about the RFP process are encouraged to attend one of two free RFP 101 workshops on Monday, November 5, 2018 from 8:30 a.m. to 10:30 a.m., or 2 p.m. to 4 p.m. at Workforce Connections, 6330 W. Charleston Blvd., Suite 150, Las Vegas, NV 89146. The RFP 101 workshop is designed to teach interested organizations how to respond to the up-coming RFPs, what evaluators are looking for and how to avoid common mistakes. The workshop will also address the procurement process and allow representatives to ask questions directly to Workforce Connections staff.